This is an example of work completed or not completed, sometime in 2012 before Mujand. Both Aviator and Aviatrix banknotes were started, but never really finished. Aviatrix pilots included: Amelia Earhart, Jean Batten, Amy Johnson, Bessie Coleman, Harriet Quimbey, Jacqueline Cochrane. Size of the final banknote and the composition were undetermined. This was the first Poneet Islands design, created in 2013. The concept differs from the released Poneet Islands series but the story and a few elements were the same. Some test notes were printed and released. Very few. This banknote has not seen the light of day. Yes, that's a pun. READ THE STORY. It was the first idea before the final version. Eklisivia is a fantasy country in the Blissdane Naive world. Size of the final banknote: 2.61" x 6.14"
This banknote has a bit of a strange story attached to it, which was hinted in the Mujand Investigator. The story was not completed but it does have something to do with the disappearance of the male population. Shikoona Alese is a fantasy country in the Blissdane Naive world. 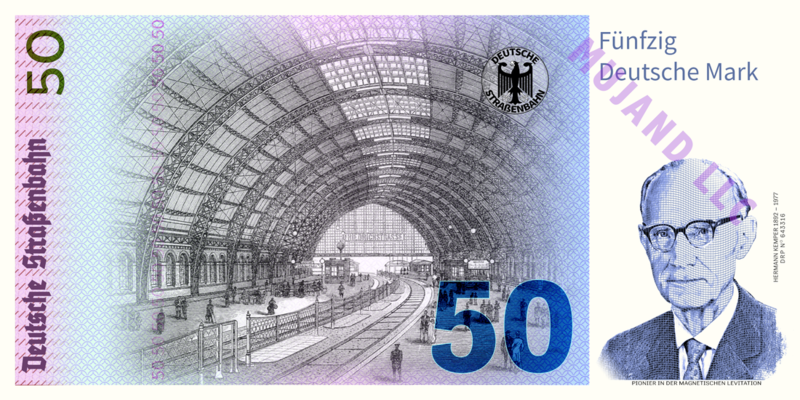 Size of the final banknote: 3.00" x 6.00"
This banknote was designed to be given as a gift to a fan of fountain pens. Only 10 were printed. 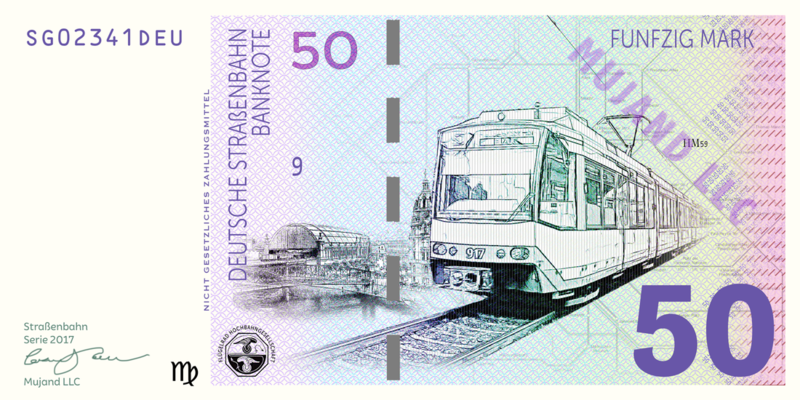 Size of the banknote: 2.75" x 5.50"
I thought about doing a trams of the world series... but the idea lost steam with me.